Washing your car every week can be a chore and can be very time consuming. Between your busy work schedule and family time it is difficult to find the time for things like washing our car. If you are like most people, you hate to have a dirty car, so what do you do? 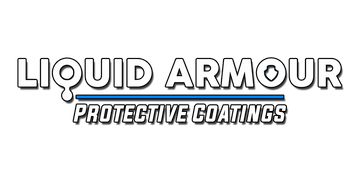 You coat it with Liquid Armour 9H. How you you keep that just coated look? The answer is LA-DS80 Quick Shine Ceramic Detailing Spray! LA-DS80 Quick Shine is a specially formulated detailing solution for all Ceramic Coatings that cuts down your regular washing routine by maintaining your car's paint when it is just lightly dusty. Just a few minutes a day or every other day will keep that just detailed look! With the use of a quick detailer you can drastically reduce washing to about every other week on your commuter car, and once a month for the weekend toys, depending on weather conditions of course. Time is only one factor in considering quick detailing. Water shortages, lack of facilities and bad weather are also things that make normal washing more difficult. Done properly, LA-DS80 detailing spray can reduce the amount of time you spend cleaning your car. It also reduces the effects of harmful elements on your ceramic coating, like road grime, bird droppings, bugs, and keeps your car looking sharp. Ten minutes every day or every other day is all it takes to maintain a great looking finish. To properly Quick Detail your car you'll need a few high quality, plush microfiber buffing towels, and quick detailing spray. A car duster also works well at removing the top layer of dust prior to quick detailing, but is not necessary. LA-DS80 is not just for the exterior of your car. It also works great for your car's interior as well. It will remove dust, fingerprints and light soil from all non-fabric surfaces, even if it is not Liquid Armour Coated. To prevent scratching and swirl marks, LA-DS80 Detail Spray should not be used to clean large areas with heavy dirt. If in doubt or when heavy dirt is present, hand wash your vehicle with quality car wash shampoo. Always use a high quality microfiber buffing towel and fold your towel into quarters. Start at the top and work your way down to the lower surfaces of your car. Holding the Quick Detail Spray 12" away, lightly mist about a 2' by 2' area on the surface of your car with the LA-DS80 Detail Spray. Gently wipe in a straight line back and forth , then flip the microfiber buffing towel and buff dry. As the surface of the microfiber buffing towel gets dirty, flip it to a clean side. If needed, when all sides of the towel start to look a little dirty, switch to a fresh microfiber buffing towel. PRO TIP! For that flawless, just detailed look after washing your car, use the LA-DS80 quick detailer to eliminate any streaks, spots and enhance the gloss. Now that you are familiar with quick detailing your car, you can easily get the job done in as little as 5 to 10 minutes. Compare this to the 45 to 60 minutes it takes to wash and dry your car. If you did a quick detail on your car every day, or every other day, you would spend no more time than you would with a weekly wash, and your car will always have that freshly detailed look.